Arrangers aren't always the best players. Think of Tadd Dameron or Gil Evans. But sometimes jazz arrangers are really good on their instruments, fine soloists as well as excellent writers. Two that come to mind are Teo Macero and Teddy Charles. Macero is perhaps best known today as the guy Miles goads in his hoarse whisper – "Teo ... Teeeoh" – at the conclusion of "Gingerbread Boy" on "Miles Smiles." 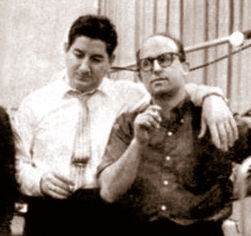 Teo did indeed have a remarkable second career at Columbia in the sixties as a producer/A&R man, overseeing some of Davis's most important sessions. But he was an excellent tenor player, too. He held a Masters from Juillard, dabbled in Third Stream styles along with Gunther Schuller and made some very fine records along the way. He also helped Charles Mingus organize the bassist's first Jazz Workshop group and played an important part in Mingus' arrange-as-you-go composing concept. Teo Macero and Teddy Charles. 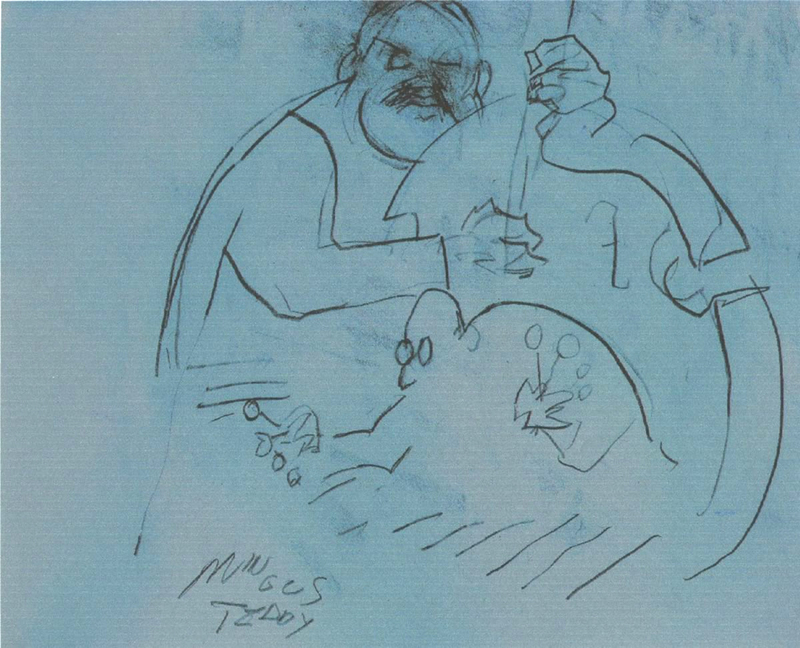 Teddy Charles also worked with Mingus, both as a sideman and as a leader. He met Macero when he too was a student at Julliard. His work on vibes was featured on numerous records in the fifties and his own recordings offered a forward looking glimpse of jazz's future. But today he is even less well known than Macero. A fate shared by many artists showcased here on Gems, unfortunately. 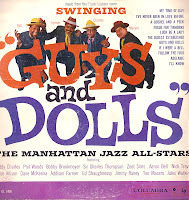 Teddy Charles led and arranged numerous sessions in the fifties that brought together some of jazz's finest, usually under the unifying concept of a particular genre of music – Russian classics, for one – or a Broadway show – as is the case here. 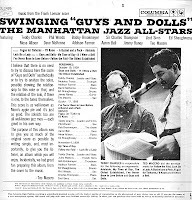 Record companies were (and still are) always on the lookout for a way to market jazz to the dreaded general audience, and five decades ago they were inclined to assemble jazz's elite and have them do popular show tunes and musicals. "Porgy and Bess" was a decided favorite, with "West Side Story," "Oklahoma" and "My Fair Lady" running close seconds. It was no doubt with marketing in mind that Columbia got Charles and Macero to organize these sessions. So here's "Guys and Dolls," rendered by an all-star cast that includes Phil Woods, Bob Brookmeyer and Zoot Sims along with the leaders. There's even a young Mose Allison on piano, having just signed with Columbia. And Sir Charles Thompson is here on several tunes to add historic weight to the album. The charts are excellent, breathing life into the all-too-familiar melodies and, in Teo's case, are fairly adventurous. Albums like this took a huge effort to produce, what with all the writing and organizing. The players no doubt had several quick rehearsals before the session and then played the pieces down in one or two takes. Sales of the ensuing release were almost certainly modest, as was the musicians' remuneration, and critics ho-hummed the album in their reviews. But this is great, if not groundbreaking, stuff and thus is worthy of inclusion here on Gems. So say I, and I think you will too. As usual, these tunes were ripped from the original vinyl with little or no cleaning up of the sound. 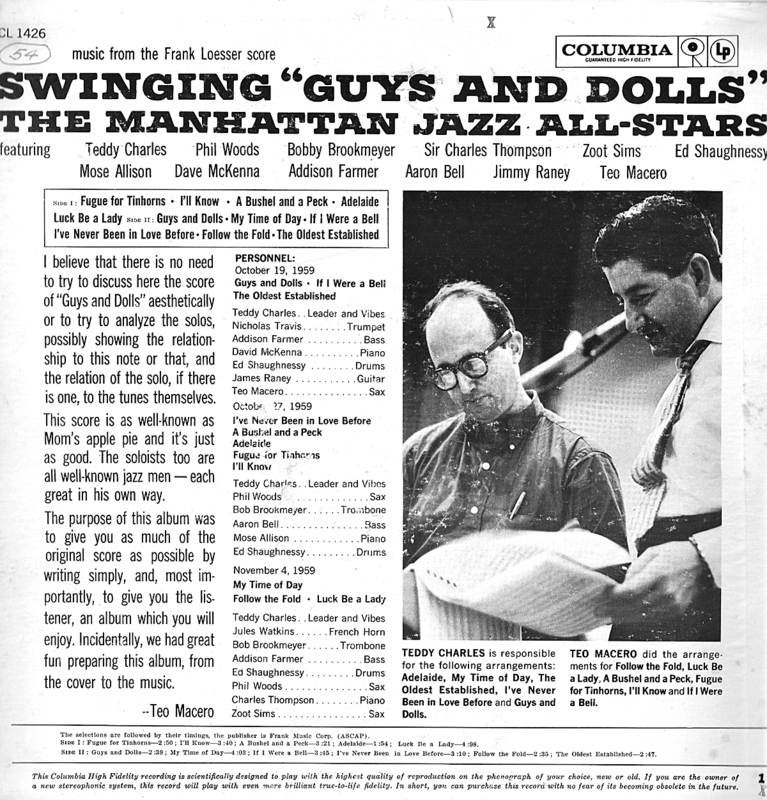 Personnel includes, Phil Woods, Bob Brookmeyer, Sir Charles Thompson, Zoot Sims, Ed Shaughnessy, Mose Allison, Dave McKenna, Addison Farmer, Aaron Bell, Jimmy Raney, Teddy Charles and Teo Macero. See cover for groupings and dates.